Cost for the rental of the entire chalet (11 rooms): 1.495 lei / night. When one group is renting the entire chalet they offer a 10% discount. Reaching the 3 Brazi Chalet plateau, go right on the road to Poiana Secuilor. After 5 minutes drive / 15 minutes walk, you arrive in a wonderful place, surrounded by forest and mountains. There’s Poiana Secuilor Chalet, a cottage authentic and rustic. It’s the only place in Romania with view to 4 different mountains. It has a rustic terrace and restaurant, parking, ATV rental and a great view of the surroundings. 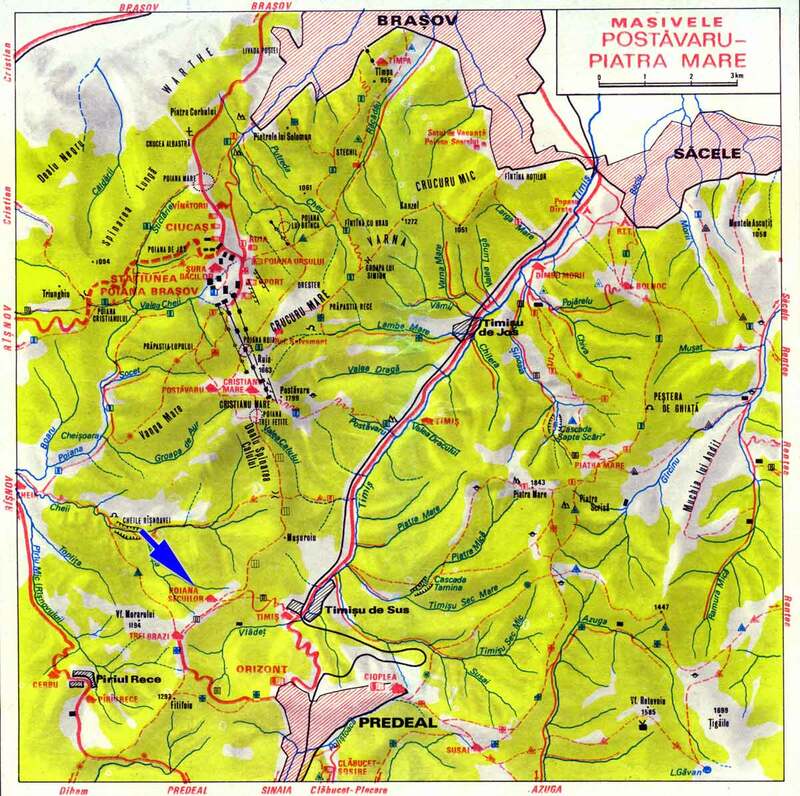 It represents a strategic point to start hiking to the Cotul Donului, the Cheile Rasnoavei and the 3 Brazi Chalet. 112 - the single national emergency call system. English-speaking operators are available. Calls are free from any network. 0040 725.826.668 - Salvamont, Romania’s mountain and cave-rescue service. Call mountain and cave rescue! : Chemați Salvamontul! Call the police! : Chemați poliția! Call a doctor! : Chemați un doctor! Call an ambulance! : Chemați o ambulanţă!
! The information in this blog should be taken as an advice!